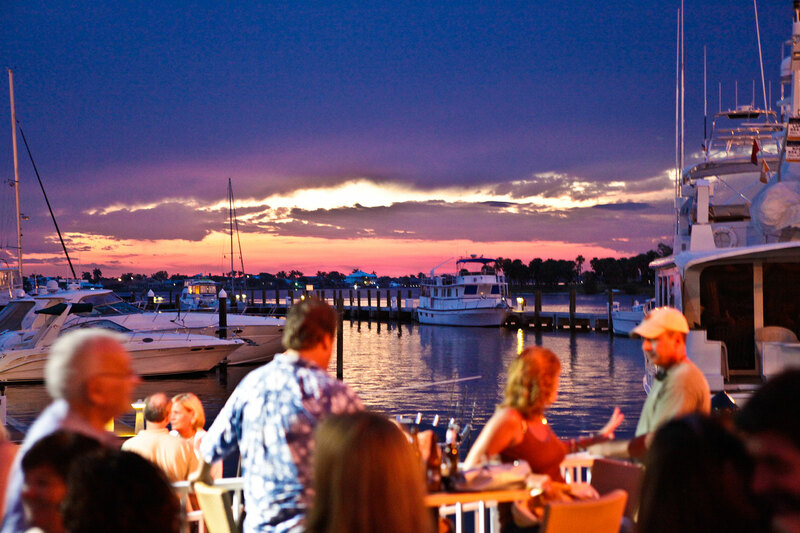 Patrons enjoy the outside bar and glorious sunsets at Sailor's Return. Gazing out at an orange and purple sunset from a restaurant table with boats spread out below, watching as the fiery sun slips below the horizon is unquestionably an experience that lends itself to romantic thoughts. Sailor’s Return on the waterfront in Stuart is the perfect place to hold hands, pop the question and look deeply into the eyes of the person with you. When the restaurant is alerted in advance to an engagement, the servers bring splits of champagne to the table for an immediate celebration. After dinner, a romantic walk down the docks is right at hand. The elegant but casual atmosphere makes it a great place to bring a date. In fact, guests can even come by boat because there’s 930 feet of free docking right in front of the restaurant. 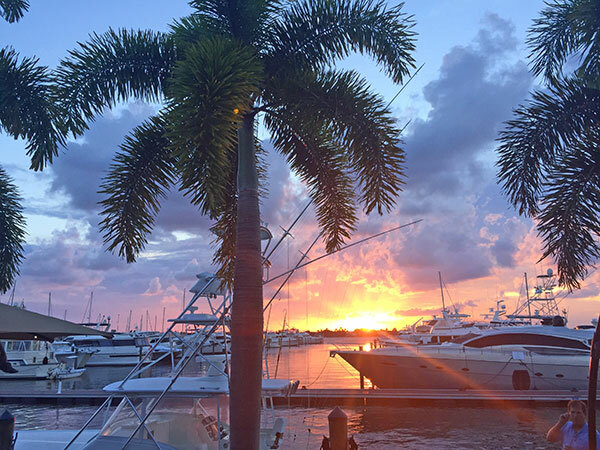 Exquisite sunsets are enjoyed over dinner at Sailor's Return. Owners Tracy Davis and Bob Davis strive to make Sailor’s Return the best it can be. With their unique waterfront location, their excellent chef and phenomenal view, they certainly have succeeded. "Best food and ambiance. Staff is amazing." "Great place to take your partner and relax for a leisurely dinner on the water."